"Deliver Us The Moon" is a single player survival and exploration game. 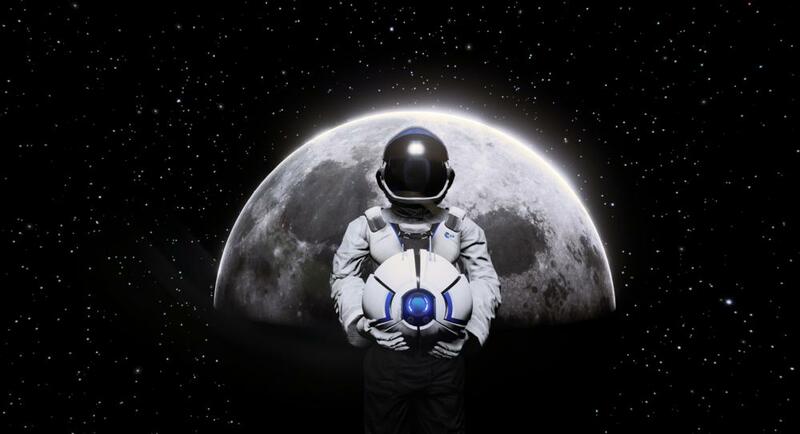 In "Deliver Us The Moon", the player is an astronaut tasked with the responsibility to travel to the moon with the prime objective to find an environmentally friendly solution for the continuation of mankind. The game is set in the near future where human civilization has come to a point where all of earth's resources have been or are close to being fully depleted. In response to this, the planet's major economic and political powers have come together to form the Worldwide Space Agency (WSA). With the combination of all their technological and raw resources, one final mission to the moon can be commenced in a do-or-die effort to save the future of humanity. There are only two characters in the game, an astronaut, played by the player and your robot companion A.S.E., the all seeing eye. It is being developed with the Unreal 4 (UE4) engine. This engine provides us with the ability to develop AAA standard 3D video games which are not commonly found in the indie gaming market. The UE4 engine also gives us the ability to be on par with the current graphical capabilities of AAA game developers. Our focus at KeokeN is providing players with a unique gaming experience, but we also understand the importance of our games having the best graphics possible. The setting of the game will be based on a futuristic space technology art style. The game can be played using a keyboard and mouse for the PC, but will also be able to be played on Xbox One with a console controller. Regarding the player view, the game will have both first and third person view choices to match the specific game style preference of the player. We are also excited to announce that "Deliver Us the Moon" will have Oculus Rift compatibility. With the Oculus Rift the player will have the option to have an even more immersive first and/or third person view experience.